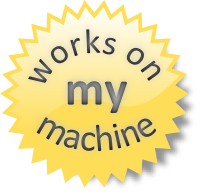 I just wrote a tiny tool used to draw a graph for a java hierarchy. The input of the program is a set of jar files and the name of the classes to be displayed. 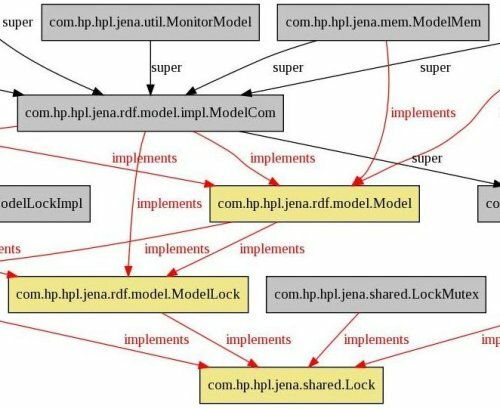 As an example, the command line below was used to create the hierarchy of the com.hp.hpl.jena.rdf.model.Model. -r  add a pattern of classes to be ignored. Update: A jar is available here http://lindenb.googlecode.com/files/java2dot.jar. i have a prob javac-ing your refference code... is there available the whole jar? DOT must be installed on your machine. I'm sorry it doesn't work for you. Last chance: can you send me your full command please ? I've tried the above with both cmd.exe and Cygwin bash. Are you sure 'c:' contains a readable non-encrypted file called 'subgroups.jar' ? I get "Exception in thread "main" java.lang.UnsupportedClassVersionError: Bad version number in .class file" when I run "java -jar java2dot.jar".